Other people spend money on their car... clothes... you know the usual stuff. I'm a geek! I rarely spend on things, but I have my favourite things I splurge on too. One of it is of course my retro toy collection. The other - is music. Yes, bersepah bilik aku ngan beribu CD. The other thing I would spend on - are my geek tech toys. Like my smartphones. 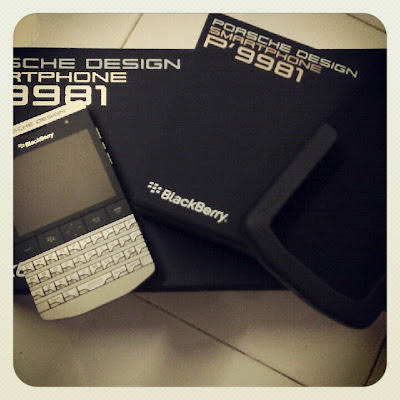 So since I got my Blackberry Porsche Design P'9981, I've been looking for the right case. Hado! Kena beli yang custom specially made. Finally found this place selling original Porsche Design cases. Woohoo! Sakit, sakit gak. Tapi lagi sakit tak abihkan duit tu, phone yang mahai tuh calar bagai kang.